The right amount and variety of Macaw and Cockatoo perches is essential to your bird’s foot health and cage “furniture”. Providing your bird with perches of various types and diameters is absolutely essential. Your bird will spend most of his life standing, so preventing foot problems is very important. Macaw and Cockatoo perches of different types and diameters help to exercise your bird’s feet so he won’t get tired of standing on same-sized perches of the same material. Perches will also help your bird navigate his cage and have comfortable places to sleep and spend his time. Cockatoo and Macaw perches come in all shapes, sizes, materials, and colors. It is important to have a variety and know what a variety looks like. There are also Cockatoo and Macaw perches that are recommended against and even poisonous, so it’s important to know what to look for. There is a recommended perch diameter for each size bird. This is so you don’t choose Macaw and Cockatoo perches that are too big or too small for your bird. It’s important to have perches that are the right size for your bird as well as perches that are a little bigger and a little smaller than the recommended size to give your bird the size variety that he needs. 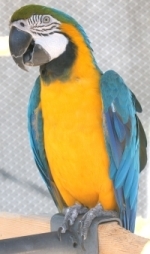 There are a few different popular types of Cockatoo and Macaw perches on the market. However, you do not need them all and some of them aren’t good for your bird. Below is a table with the recommended quantity of the different types of perches. Keep in mind that different diameters are required too. We know perch hunting isn’t easy, so we’ve done the hard work for you and have found the best Cockatoo and Macaw perches on the market at the best prices and with the largest variety for each type of bird. The right amount and variety of Cockatoo and Macaw perches is essential to your bird’s foot health and cage “furniture”. Macaw and Cockatoo perches come in all shapes, sizes, materials, and colors. It is important to have a variety and know what a variety looks like. There are also Macaw and Cockatoo perches that are recommended against and even poisonous, so it’s important to know what to look for. X-LargeUse for X-Large birds: Large Macaws, Large Cockatoos, etc. Use for X-Large birds: Large Macaws, Large Cockatoos, etc. 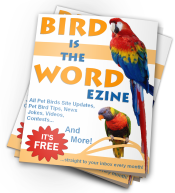 We hope we’ve helped you find the best Macaw and Cockatoo perches for your pet bird!